I really enjoy wearing the Páramo Enduro Jacket and have used it in a wide range of environments and climatic conditions. It’s such a breathable and well ventilated piece you can keep it on almost all of the time. It breaths as well as a soft shell but with the added bonus of the it being exceptionally weather protective. This trip I have been using it in conjunction with the Páramo Enduro Pant and together they work so well, but I will focus on the jacket for now. The Páramo Enduro Jacket is great in colder conditions where its great breathability means you can keep it on the whole time. Even when you are active. A great set of features sets the Enduro Jacket apart as a climbing piece with four season use in mind. 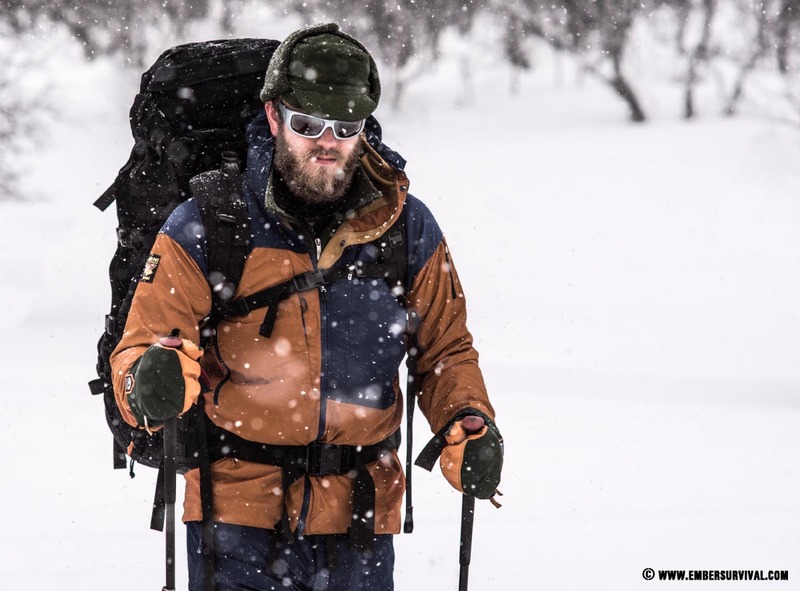 The jacket avoids getting in your way when you walk or make large bounding steps upwards on steeper ground as the fit is scooped with a longer tail and higher front. Stretch panels on the jacket give you exceptional articulation. You can aggressively wave your arms up and down and over your head with the jacket staying put and hardly riding up. There are stretch panels on the elbows, sides and shoulders. Freedom of movement in the Páramo Enduro Jacket is fantastic thanks to its stretch panels. 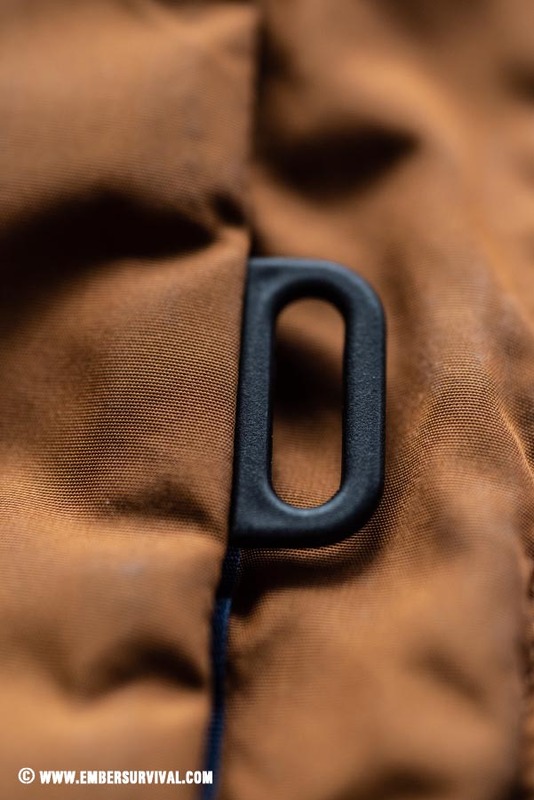 The Páramo Enduro Jacket pockets are all elevated to keep them well away from a hip belt or harness. There are plenty of pockets on the jacket, two for your hands and a large chest pocket that can take a map. This pocket is separated somewhat from the jacket interior by an additional layer of face fabric. This means if you are opening the pocket often you won’t get water coming through to get you wet. The Enduro has a velcro chest pocket that can be opened with a simple pulling movement. It also has a very special plastic loop that can be used to clip accessories to it that you need quick access to, such as a compass. 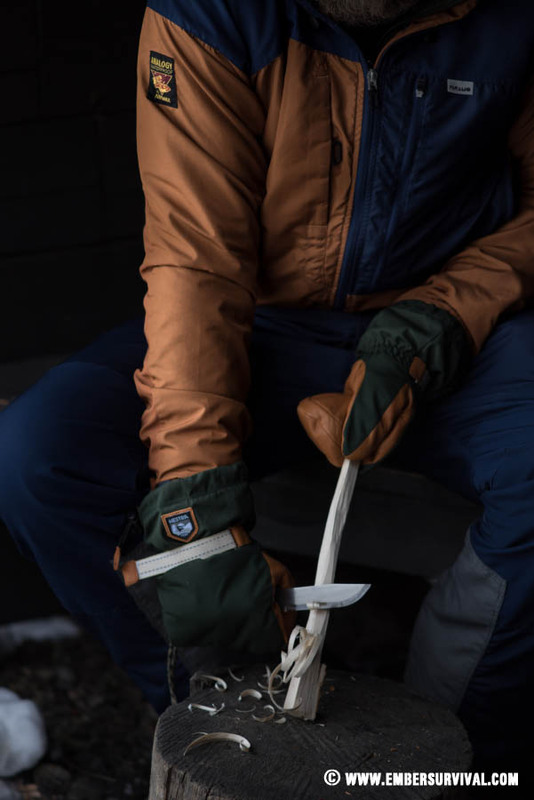 The Enduro Jacket also has a pocket on the arm which would work well with a ski pass as well as a small internal pocket. In wetter environments the waterproofing on the Páramo Enduro has not let me down. The hood is excellent. The large vents on the arms extend far up the arm and work so much better than typical underarm vents. The chest pockets also have mesh lining and therefore can double up as vents too. The result is such a well ventilated jacket that can therefore cope with warmer conditions and acts like a soft shell. 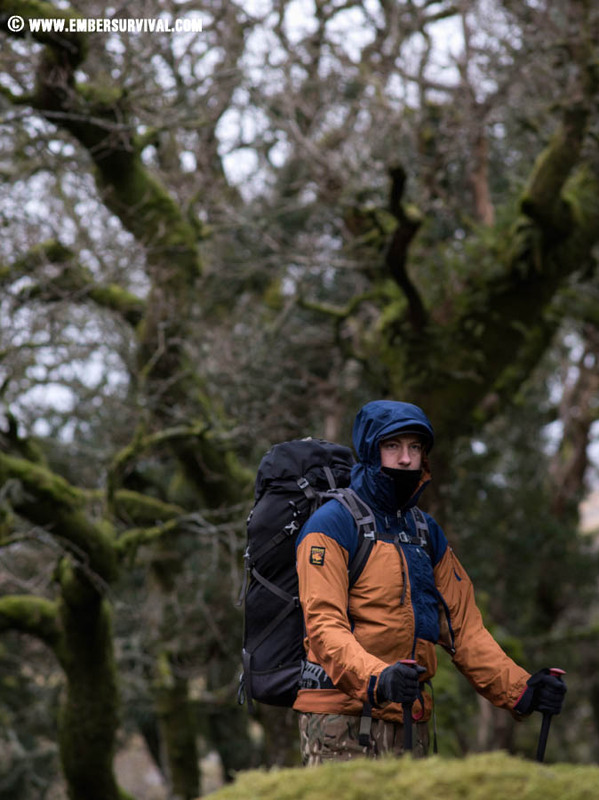 Furthermore the way the waterproof technology works in Páramo jackets you are not reliant on internal pressure to make the fabric breath so the vents on the Enduro work as vents should do on a waterproof and actually cool you down without sacrificing breathability to do so. The vents are positioned in such a way to minimise rain getting in through them and as a result you can have them open for longer in more challenging conditions. The hood on the Páramo Enduro is helmet compatible and has a good strong peak. The compression straps allow the hood to grip your head and allow you to look around with ease. The wrists feature velcro closures and use high quality feeling velcro. Attention to detail includes a double zip on the main opening so if you are on a belay this can happen without obstruction. Just behind the main zip you will find a drip skirt that stops water getting through the jackets main zip. The jacket also features reinforcement on the back to protect against rucksacks. 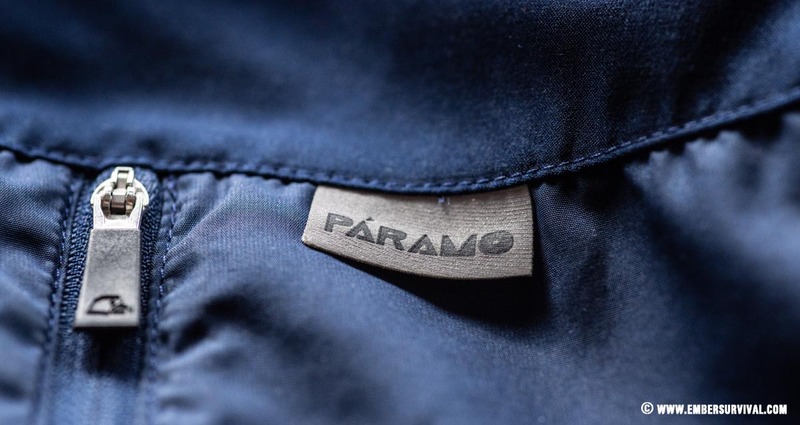 I have tested Páramo waterproofing technology in a wide range of conditions and it is my go to waterproof solution at the moment but every garment has its limits. I have been out in Páramo during torrential downpours and water has started to come through, this occasion I was out and about when over 58mm of rainfall came down in under an hour. The Páramo Enduro Jacket is however a fantastic piece to wear in the mountains and hills for extended periods of mixed conditions. It handles these climatic changes efficiently and allows you to minimise the amount of layer changes you have to do. With two thin layers of wool and the Enduro I was able to comfortably enjoy -12 when being active. 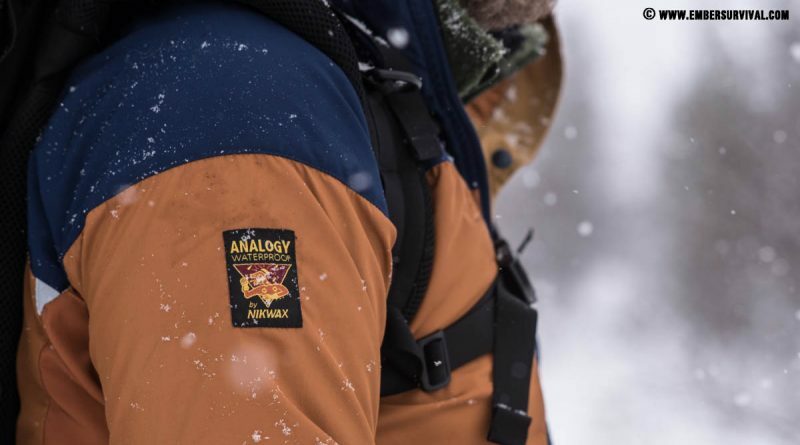 The Páramo Enduro Jacket feels at home in warmer conditions mainly due to its clever venting system. How a person feels outside is subjective and depends on so many variables. The Enduro is one of the best jackets at maintaining a pleasant microclimate in a very wide range of conditions. The Enduro has a great range of features that help the dedicated outdoors person be happy outdoors. A great pocket arrangement and a protective hood really make this a great piece. The biggest part for me of the Páramo Enduro Jacket is how comfortable it is across varying conditions. I really look forward to wearing it all day and seldom take it off.